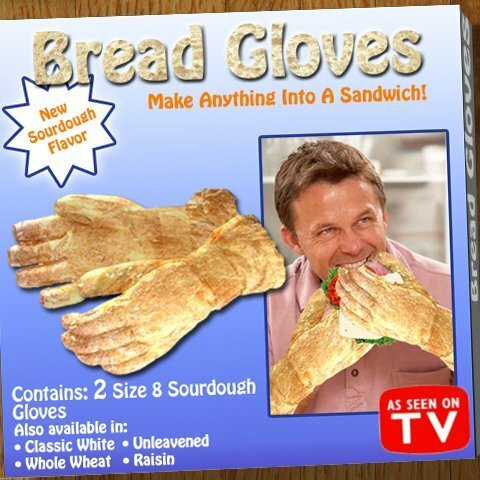 I would love to live in a world where this is a real product. A friend of mine showed me this, and I figured I should share it with you all. Expect new reviews and other content within the next couple weeks!! I’ve discussed one of Jimmy John’s subs before, and I figured it was time to try another one of the sandwich franchise’s offerings. Jimmy John’s offers a number of cold cut subs on fresh-baked bread, with entries varying from the usual ham and cheeses and italians to more creative options, like the Beach Club. The Beach Club is a turkey and provolone sandwich, which also includes avocado spread, sliced cucumber, sprouts, lettuce, tomato, and mayo. With that many ingredients, the sub could become cluttered. However, Jimmy John’s managed to pull it off with flying colors. The turkey and provolone were fine, but the really stars of this club were the cucumber and avocado spread. The cucumber provided a cool flavor and pleasant crunch, while the avocado made for an interesting contrast. The inclusion of lettuce, tomatoes and mayo helped to fill out the sub and keep it grounded. The only element I was not impressed with was the sprouts, which are a bit messy and not noticeably flavorful. The bread, of course, was delicious, but for Jimmy John’s that really goes without saying. The Beach Club is a Gourmet Sub, which means it runs for a bit more than some of Jimmy John’s other sandwiches, usually around $5.50. It is without question worth the cost, given the unique flavors and ingredients. The Jimmy John’s Beach Club gets two thumbs up. Sandwich Dossier: When is a salad not a salad? I don’t generally like salads. In fact, my dislike of salads actually rivals my love of sandwiches in intensity. However, there are a number of more unconventional salads (in that they’re not made up of lettuce and tomatoes) which I like, and it just so happens that these salads can be and often are made into sandwiches. These salads generally consist of a chopped meat mixed with a dressing such as mayonnaise or mustard, often including other spices or seasonings, and then served on bread like a conventional sandwich. It’s a simple recipe, but it allows for a lot of variation, since almost every ingredient can be swapped out or added. 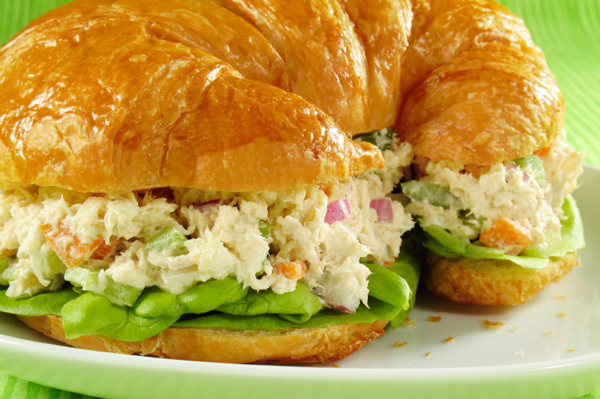 For example, the chicken salad in this sandwich includes walnuts, celery and grapes, giving it a lighter, sweeter taste. The bread can also be replaced, using everything from plain bread to a hamburger bun to a croissant, as pictured. As seen in the picture above, you can also garnish salad sandwiches with lettuce, tomatoes, and other ingredients the same way you might dress a deli sandwich. The best Ham Salad Sandwich of all time, no question. That’s about it for salad sandwiches, they’re not too difficult or expensive to prepare, and are available at many restaurants and stores. They also taste pretty darn good as well. Until next time, sandwich fans! !